You might have noticed that “4K” has been thrown around quite a lot lately. But do you actually know what it is? Well it isn’t as much of a mystery as you are initially thinking. To put it simply, 4K = 4000 pixels. Don’t fret if you aren’t a videographer though, 4K is perfectly as useable for non-professional purposes too! Very soon, you may start to notice 4K becoming available in cameras, TVs, you name it. And if history really does repeat itself (and we think it does) then soon enough 4K will be the norm across all of these. It’s just not quite there yet. If you are into editing your photos and videos, present lectures or even create show areas for your job, it is pretty much guaranteed that it will be much easier and cleaner looking with 4K. And bonus! As larger TVs have become more affordable, 4K is quickly becoming the format of choice for at home television and event displays. Especially on larger screens. Well that sounds all well and good, but what’s the catch? Well, as you’d expect, using 4K is excellent! But it does require more power and space… So, if you plan on using 4K quite religiously you should consider a wizzy graphics card with at least 2GB of memory and increased hard disk space to keep up with the demands that 4K inevitably brings with it. *Sidenote* Depending on your computer, you may find that your desktop may struggle to cope with 4k. – Efficient 4K capable video editing software (like Final Cut Pro, Adobe Premiere Pro). But we can work all of that out later right! Lets leave it on a positive and think about this, if you invest in 4K now, you won’t have to worry about your video going out of date! 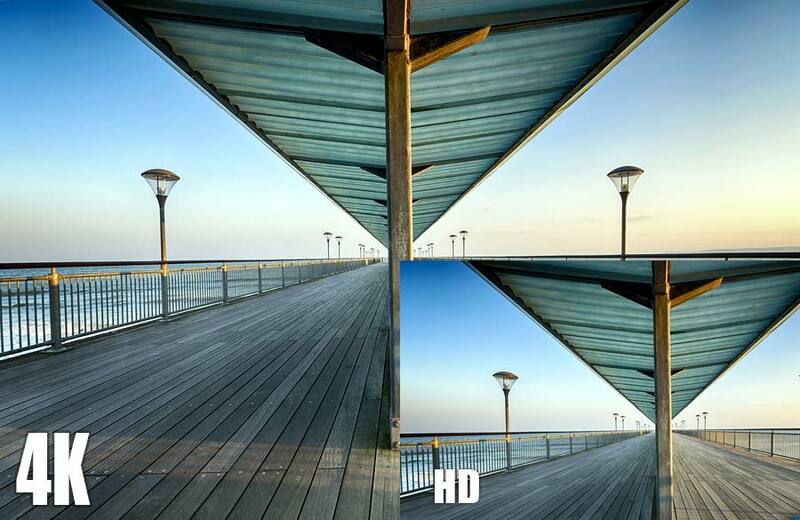 Gradually, as with all technology, 4K will take over the format that preceded it, in this case HD. So if you love recording your favourite moments via video or use video for professional reasons, your content will last a longer time before you have the need to replace existing videos with whatever supersedes 4K down the line… Just thinking of you! – Adapted from Douglas Adams, The Hitchhiker’s Guide to the Galaxy. Douglas Adams of course was talking about space, however in terms of video, 4K is ACTUALLY really big. An explainer video or demo video is a quick video that is designed to educate you on how to use a product or service. A demo video actually shows the product in action so you can see the quality of the results you will get by using the product (or how it will solve your problem). Maybe your product or service isn’t tangible. Maybe it speaks for itself. Maybe an Explainer video isn’t on the top of your To-do list. But here is what you are missing out on… The whole aim of the video is to increase your conversion rates! To reach maximum potential, you can even upload them to YouTube. After you have put them on your website and various other social media sites would be a good time to do this. Many people use YouTube as their choice of search engine if they are looking for this kind of information. Now it’s not necessarily the easiest thing to engage with these people through YouTube. Hence why we have created this beginner’s guide to Explainer and Demo Videos. We have outlined some basic things that you should consider when creating one for yourself. To get you started, we have come up with some questions to ask yourself at this point of your creative journey. Hopefully, with you answering these questions, you will have more relevant ideas in mind when designing your video. What is the problem that your customers are facing? How can you provide them with a solution? What are the questions that your customers are often found asking? Is there something about your product that may put off your customers from buying it? (ex, If the customer cannot see the price straight away, they may look elsewhere where they can get any idea of price and value of a similar product?). What kind of personality do you want to be expressed through the explainer video – how? You have to answer these questions honestly and this will form the structure of your explainer or demonstration video. Write a script. This is the main way you will deliver the message. With the answers to the questions in the Brainstorm section, answer those before your customer even has a chance to ask. Take advantage of the visual platform you are using. Show off the product’s features in use and how it solves the more popular problems that your cusotmers have. CALL TO ACTION – ‘buy the product’ or ‘sign up for a free trial’ or ‘get in contact with us’. Make it sound simple, quick and easy. Any other concerns expressed by customers; here is your chance to answer any final concerns, doubts or deal breakers that could convince even the more stubborn of customers. EVIDENCE – to nicely end the video, some companies use the product or proof of happy customers. AVOID BUZZWORDS! Talk to your customers the way you would if you were stood in fornt of them. Don’t have them googling on the other side of the screen what every other word means! If your video confuses them or leaves them with questions they may not even bother with the whole idea at all. If that is the case, you have not only lost a potential lead. But you have potentially lost someone’s interest in any product type similar for you and other similar businesses. If you have a lot of products or services, it is not necessary to have a video for each. If you choose to do a series of products just make sure that the structure is consistent in all of them. 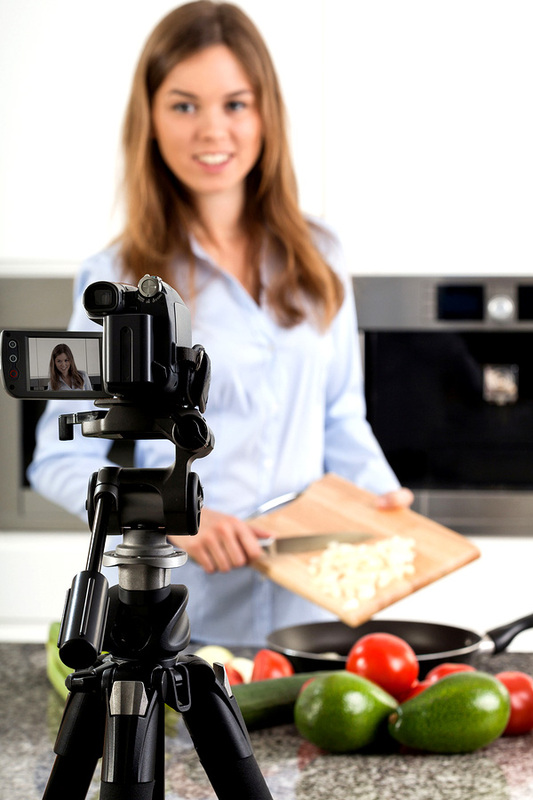 Is this the year for video marketing..? Just last week there was a burst of excitement in the office, though not unusual the level of said excitement required further investigation. We all had a laugh and normality quickly resumed. So why the apparent flippancy about something other marketing people might consider ‘Hot News About Video Marketing!’..? We’ve been around a while and have heard it all before, that’s not to say the statement is incorrect, just a little late possibly. For those of us who remember early mobile phones that gave you a huge bicep after just a quick call, then it’s tech nostalgia time. For those that don’t, there’s Google. Search “The first mobile phones” and have a laugh. Online video has been accelerating in growth since the days of the 56k modem. 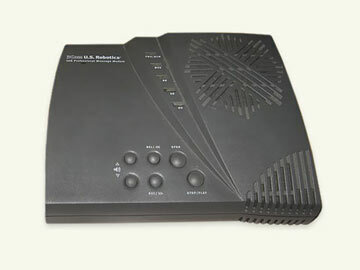 Only those of us of a certain age will remember the ‘Will it, won’t it connect’ feeling, and the lovely sound of our Personal Computer connecting to the ‘World Wide Web’ as it was known then. At that time PC processing power and hard disk space were breaking new ground, this meant digital video editing no longer required dedicated linear editing systems with tape based storage hardware; There I am showing my age again. Desktop video editing suddenly became a reality for more people than ever, and was about to break out from the arena of big businesses with big brand awareness budgets and Banks contracting household names for staff training videos. OK, so initially online video was highly compressed making it small and grainy with poor sound, and buffering so modems could cope with the data, however as with all things teccie improvements happened fast and have continued, giving us the beautifully clear video and audio that we enjoy today. Even more so since the creation of Youtube with video results being included in online searches.  When add this to the introduction of ever more speedy internet connections, especially to the mobiles being carried by millions of us everyday, and you have a very potent marketing tool. Online video marketing has been great for a long time and should always be considered as part of your marketing plan. OK, so we got there in the end, but really, don’t wait any longer to see the results adding video to your marketing can bring. With the name “Google” being an everyday part of most people’s lives, it’s hard to think that just 20 years ago, the word and the company did not exist. It was 1995 when Google’s founders Larry Page and Sergey Brin first met at Stanford University and two years later, having worked together for a year on a search engine called BackRub, the domain google.com was registered. A year later in 1998 the company Google was registered and the rest, as they say, is history. Whilst we are of course most familiar with Google Search (around 90% of UK Internet searches are carried out via Google), the company is responsible for many other products that we use regularly, perhaps even daily, such as Maps and YouTube. You may have heard of Google+ too although possibly don’t know very much about it, but one product which you may not have heard about at all is Google Hangouts. Google Hangouts can be a tricky thing to explain as they come in so many different shapes and sizes. You can have hangouts that are like group text messaging including photos – on your computer or on your phone or tablet – but where Google Hangouts should really begin to make you sit up and take notice is with what you can do with them for face-to-face conversations via video. A Google video hangout is a private video chat room with up to 9 other people (i.e. 10 in all) from anywhere in the world – for free. You can use these for conference calls with friends, remote workers, or even clients, saving both travelling time and reducing your carbon footprint. But if that isn’t enough to pique your interest, there is more. Google’s Hangouts On Air (or HOAs as they are sometimes referred to) are like the face-to-face video conversations described above, but On Air, meaning they can be watched by other people live on YouTube or Google+ and the audience watching can join in the conversation with their questions and comments brought directly into the hangout and shown on screen. What is more, for the person or business running the Hangout On Air then at the end of the live video event, a recording of the video broadcast live is stored on their YouTube channel to further share or edit and re-purpose. And yes… as above, all of this is free. Don’t hang around… hangout on air instead! Google Hangouts and particularly Hangouts On Air present an excellent opportunity to reach potential customers in your target market. That of course raises the question, what should you use them to broadcast? The answer to that question largely depends on your target market. Whatever you do needs to be focused on providing the information your audience is looking for and answering the questions they may have. Whether your business is focused on providing products and services to other businesses (B2B) or serves consumers (B2C), you will no doubt be providing the information and answering the questions they have already on a daily basis. You are an expert and you provide information and answers from your pool of expertise every day. What HOAs allow you to do is to reach a far bigger market of customers than your day-to-day customers. But whilst hangouts provide you with a broadcast medium to reach those customers, don’t be tempted to use them just to “broadcast”. The best way to use Hangouts On Air is for engaging your audience not for broadcasting at them. There is an abundance of video content out there all competing for the limited attention of its audience. The key to make hangouts work is to make them useful for your audience. If used well you can encourage your audience to participate during the broadcast which makes your hangout far more interactive and engaging for those watching. The limits of Hangouts On Air are to a large extent bounded by the limits of your imagination and what would work for your audience. If you are still unsure then take a look at the examples below. There are many ways to use them… here are just a few, but if your imagination is holding you back, then why not have a chat with us to explore more of the opportunities that Hangouts and indeed Google+ as a social network could provide for marketing your business. Premiership footballers are often put on a pedestal along with their big salaries and that’s the closest you are likely to get to them. 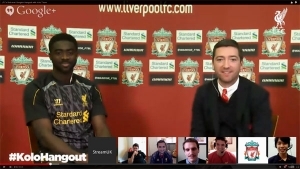 But a lot of UK Premiership and Championship clubs like Liverpool have used Google Hangouts On Air to interact in live question and answer sessions with their fans, including inviting some of their fans into the live hangout. These are a great example of a brand engaging with its audience and engagement is the very best way to grow an audience. Cadburys, the iconic British chocolate brand, also use Google Hangouts On Air to interact with the fans of their brand, but that doesn’t mean you need to be a big brand to use Hangouts and make them work for you. You may be familiar with TV shopping channels that have been around on digital TV like QVC complete with a sizeable budget that goes with them to buy airtime, But with Hangouts On Air it’s possible to do something very similar. The Home Shopping Network created a Shoppable Hangout that linked to products on Google Shopping to produce this interactive shopping experience. Using the Showcase App, that comes with Google Hangouts On Air, you can create your own showcase that could link to your products on eBay or Amazon or your eCommerce website or if you’re a service-based business then you could share more information about services on your website. Food is a favourite with most of us so what better way to engage an audience of food fans than through a hangout. You could produce a live event with people participating in the hangout (much like the Liverpool FC example above), or you can use hangouts to record and edit a show to share later. 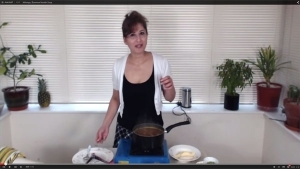 Azlin Bloor has brought her Far Eastern cooking to a worldwide audience through Google+ and Hangouts (both live and recorded), but equally a restaurant could use hangouts to reach its local audience, perhaps by recording the cooking of an upcoming special dish to be served by them in their restaurant. The value of good customer service has perhaps never been as high as it is now. With so much choice for products and services available it is difficult to differentiate what you provide compared to your competitors. The long-standing concept of a unique selling point (USP) is certainly challenged in today’s World Wide Web world. Dell have used hangouts to differentiate themselves by providing customer support and insights into new tech equipment through HOAs. Along with the Showcase App mentioned earlier, Google Hangouts also provide you with a Q&A App that allows questions to be submitted in advance of or during the live broadcast. This gives you the opportunity to tailor your hangout very closely to the needs of your audience. Live music has grown and grown in popularity and My Music Hangout has brought it to Google HOAs. They produce regular hangouts with musicians covering a wide range of styles and genres. 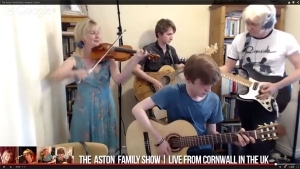 A particularly popular hangout was produced with The Aston Family live from their home in Cornwall, UK. The unique live event received a lot of positive interest from all over the world. 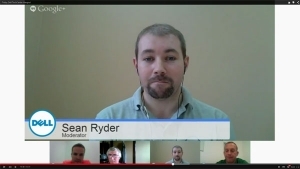 The above are just some examples of how Google Hangouts and in particular Hangouts On Air are being used. But as said above, the limits are mostly bounded by your imagination and what will work with your audience. Whilst there’s been a lot of buzz recently with the Meerkat and Periscope apps used for live streaming on Twitter, Google Hangouts provide an opportunity for both B2B and B2C businesses to reach out to existing and potential customers in a deeper and more engaging way that has not been possible before through regular marketing channels. So how could you use Google Hangouts? 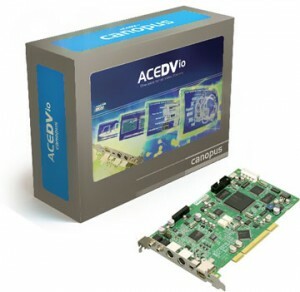 Here at Cracking Media the Grass Valley Canopus ACEDVio has been a firm favourite for analogue to digital conversion on our Windows editing system, and has worked faultlessly as a firewire card for longer than we care to remember (as too with our ADVC-300). So imagine the head scratching that went on when we upgraded one of our video editing suites to Windows 7 64bit, only to find that the ACEDVio no longer seemed to function. 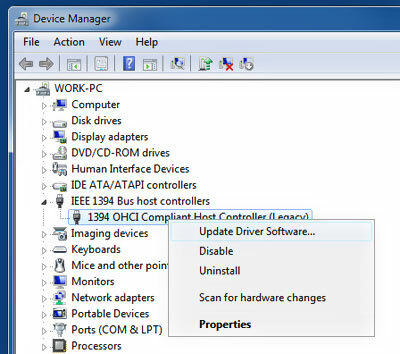 All was clear in device manager and all the hardware we plugged in to it installed in the usual way, but no capture was available in Edius or any other software. Having tried many things to kick it into life we searched around the internet for a possible driver patch and found a fix on the Grass Valley site. Apparently the ACEDVio capture card isn’t compatible with the native firewire drivers in Windows 7 64bit. The fix is as simple as reverting to the legacy firewire drivers that are available in the update driver wizard. We hope this helps if you where thinking it’s time to buy a new capture card or that your ACEDVio has given up the ghost. Though the ACEDVio may be thought of as a bit outdated, there’s still plenty of work for it to do in the world of Cracking Media. The reliability of all our Grass Valley Canopus equipment means we’re not looking to swap just yet. Why won’t the media exported from Final Cut Pro play or edit on a PC system..? The answer is don’t Export, Share instead. 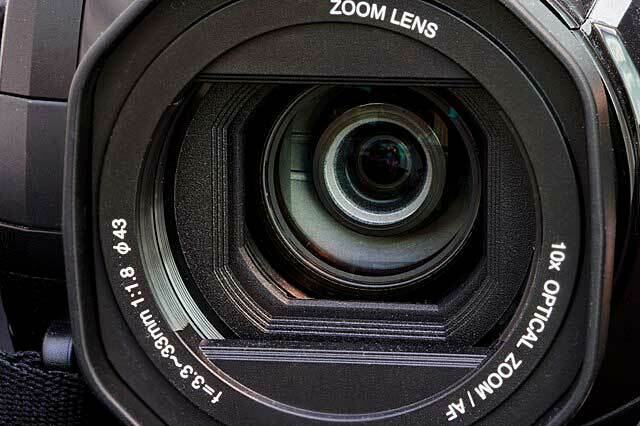 With the advent of cheaper and cheaper video cameras many business owners are wondering if it is worth filming their own promotional video. If that’s you, then it’s important to realise that despite what the cheaper cameras advertise. filming a video for your businesss is not just about pointing and shooting. From the importance of telling a story, through understanding some of the technical challenges, to making sure your business video is eyeballed in all the right places, there is plenty to think about. However, with careful thought, planning and taking time, the results can be very much worth the effort. To help you to give it a try we’ve put together these ten top tips for planning and making your business video. Video as a visual medium has exploded on to all types of gadgets and devices in recent years. The rise of video has seen a huge increase in video content being created for all different purposes, such as personal memories, events, instruction and promotion to name a few. Videos can be exciting, factual or fun, however one important factor in making a video easy to watch is quality audio. Veiwers can forgive shaky, badly framed or boring video footage if the sound is clear, crisp and helps to push the video forward, essential if your prime directive is a marketing message. Always consider how a location sounds as well as how it looks. Find a place with no unwanted noises (traffic, background chatter, buzzing air-conditioning units, etc.). Try listening to a location for a few minutes to pick out any distracting sounds that might come across in your recording. Never rule out the possibility of having to find another location. Another important considration is good acoustics. Recording audio in a highly reverberant space will cause echoes. These echoes can mix with the intended recording creating a dull, indistinct and difficult to understand soundtrack. Rooms with carpet and soft furnishings usually have better acoustic qualities. Use an external mic as the mic that’s attached to your camcorder is a compromise designed to pick up as much as possible. That means foreground noise, background noise and everything inbetween. External shotgun mics are designed to be positioned very close to your interviewee or narrator and have a very directional pick up pattern so won’t pick up so much of the surrounding ambient noise. 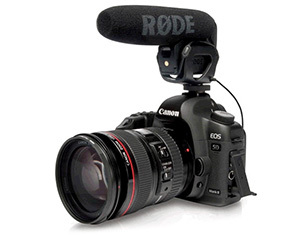 Another option for interviews is a quality lavalier mic (clip on mic/tiepin mic). These types of mic are attached to your interviewee in close proximity to their mouth, all but ensuring crisp audio. Always watch audio levels closely. This is a critical part of the process and should always be done with headphones. 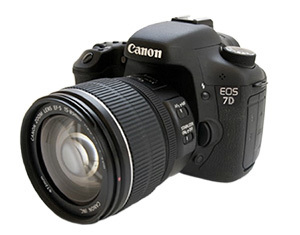 Many videographers set the levels based on what they see in the levels indicator on the camcorder screen. Only by using headphones will you be certain that the sound being indicated is the sound you want to record and not a background noise. Turn off your camcorder’s Auto Gain Control (AGC) and set audio levels manually… The AGC will compensate for level changes by trying to match a constant volume of the recording to the sound being recorded. This sounds great, however AGC will introduce increased background noise in quiet portions of the recording. 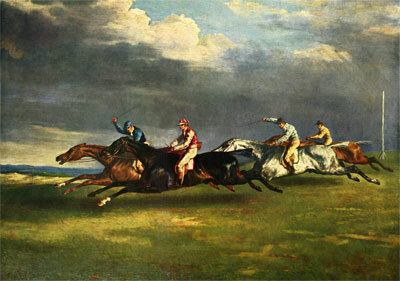 Prior to the late 19th century, most pictures of galloping horses showed the horse with both of their front legs extended forward and both their hind legs extended to the rear. To our eyes today those pictures look old-fashioned, but to most of the people of the day, that was how they thought a horse galloped. They didn’t know any better. That was until a man called Eadweard Muybridge proved otherwise. Muybridge, born Edward James Muggeridge on 9th April 1830 (whose 182nd birthday was celebrated recently on Google’s home page with an animation of a horse galloping), was an English photographer known for his pioneering work showing how animals run by using multiple cameras to capture motion. He famously invented the Zoopraxiscope, a device for projecting motion pictures that predated perforated film strip still used in cinematography. It seems that Muybridge had a bit of an identity crisis as he changed his names several times in his career only settling on the name Eadweard Muybridge in the 1870s when he became more widely known for his work with Leland Stanford, an American businessman and race-horse owner. Stanford asserted that all four of a horse’s hooves are off the ground at the same time during the trot and took it upon himself, with Muybridge’s help, to prove it scientifically. Muybridge arranged a series of large glass-plated cameras in a line, each one connected to a thread stretched across the path a horse would run through. As each thread was passed by the horse’s front legs, it triggered the camera’s shutter and took a photograph. The photos were copied onto a disc as silhouettes and viewed in Muybridge’s Zoopraxiscope. Later, in another series of photographs taken called The Horse in Motion, Muybridge showed how a horse gallops and is airborne, not with fore and hind legs off of the ground and fully extended as illustrated in the day, but rather when all the hooves are tucked under the horse as it switches between pulling with the front legs to pushing with the back legs. So Eadward Muybridge, despite the change of spelling of his name, proved he was no Mug(geridge)! The series of photos Muybridge captured and displayed in his Zoopraxiscope are one of the earliest forms of videography. 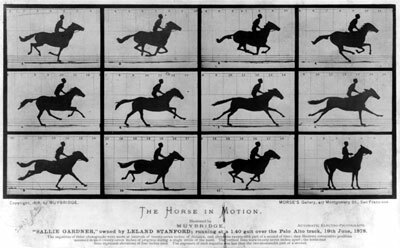 Muybridge’s moving images settled the argument about how a horse gallops in just 11 images displayed in a sequence which took less than one second to capture. A single still image can tell a story, but a series of still images, displayed in a sequence, can tell you more of the story. Muybridge’s series of still images explained to the people of the day and told the true story about how a horse gallops. Today’s video cameras capture 25 still images per second (or 30 if you are in the USA). 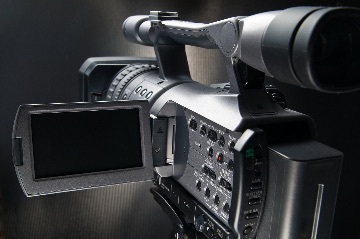 Video is the perfect method for telling a story and is being used increasingly by businesses today to tell true stories about their products or services. It works especially well when that story is difficult to explain or understand (as with Muybridge’s, The Horse in Motion), or when people want to see in action what you can do for them rather than have it told to them in words or single pictures. You can see some examples below. Muybridge helped to settle the argument about how a horse gallops in less than one second – although it took him several years to perfect his invention to do it. It’s true that a picture is worth a thousand words. But how many more is a video worth?